What is the Lightbulb Reading Series? 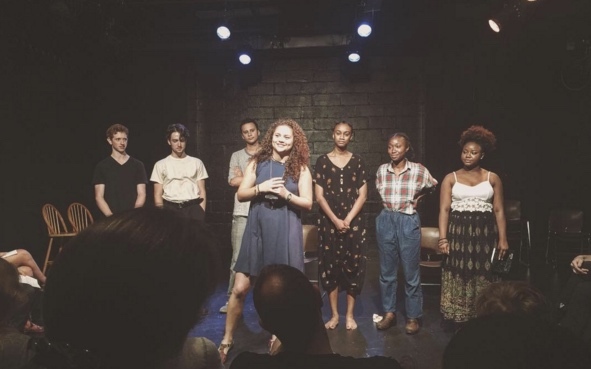 The Lightbulb Reading Series is an annual festival of new plays in development by emerging writers. Over the course of one or two weeks in July, each play is workshopped with a director and professional cast. Each workshop culminates in a staged reading open to the public. Over the past three years, 18 plays have been developed in Lightbulb. They range in content, style and form, including short plays, full-lengths, and performance art. Many plays produced through Lightbulb have gone on to further development and many artistic partnerships have burgeoned at Lightbulb and evolved into lasting collaborations. For more information about the 2016, 2017 and 2018 festivals, please visit past projects and stay tuned for information about the 2019 series!